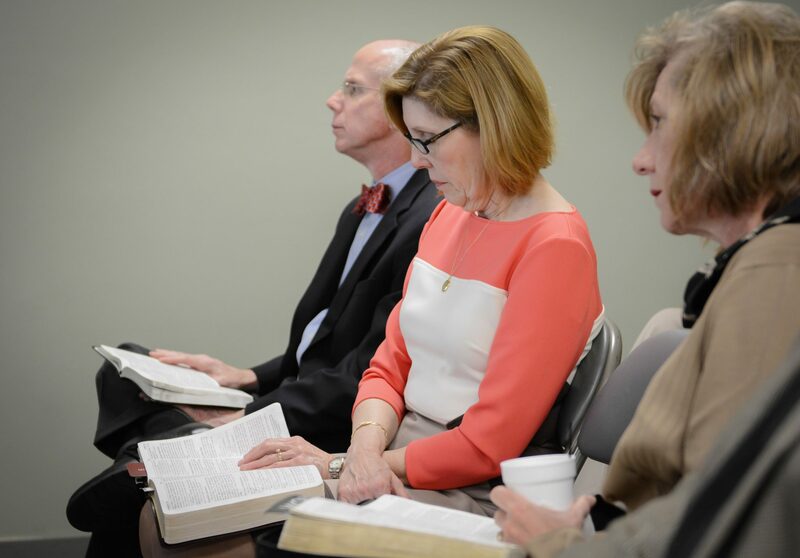 A co-ed class for median adults, the Emmaus class enjoys walking through the Bible verse-by-verse. We do an expository verse by verse study of a book of the Bible. We use an interactive style where we listen to the insight given by delving into the very words God would have us hear while at the same time employing a healthy discussion. At the end of the lesson time, we want to apply what we have learned to our daily walk with the Father. If you miss a class we send out an overview of what was studied each Sunday afternoon so you don’t feel left behind. Additionally, we’re pretty large and the room is large which some people like. We have a good number of people who sing in the choir or play in the orchestra, and our room size lends itself to people coming in after we’ve started the lesson or leaving right before we finish without feeling they have disrupted everyone. Because of our expository style, we use the Bible and not Sunday School literature. We enjoy parties and fellowships. Once a month our ladies also have a Ladies Night Out at a local restaurant.